When you are thinking visiting Jamaica a question always come to mind. When is the best time to visit Jamaica? However, many will tell you there are no specific times to vacation on the island unless you have a specific occasion which you do not want to miss. This is true because the island is tropical which makes the temperature throughout the year relatively unchanged. The major changes that usually affect you when visiting the island are the tourist season and the off-season. The tourism season is from December 15th to April 15th while the off-season is the remaining months of the year. Resort costs are at their lowest during the off-season. The northern hemisphere winter and summer are the best time of year for persons who want to visit Jamaica for surfing holiday. This is mostly done on the east coast of the country in the parishes of Portland and St. Mary. The best time to visit Jamaica to windsurf is in the peak tourist season of November to April. The Silver Sands area on the north coast between Montego Bay and Ocho Rios is the best place to windsurf. In the months of June to September is the most ideal time to scuba diving dive in the island. The water temperatures are at the warmest at this time of year and the entire north coast of Jamaica along with Negril is perfect for scuba diving. Most of the other water sports activities are done throughout the year so that you can enjoy the whenever you choose to visit. One of the exciting things you can do in Jamaica is horseback riding. This is done all throughout the year. You will find services for both professionals and amateur riders on the island. Montego Bay’s Chukka Blue Horse Riding is one of the most popular places you will find of this type of activity. They will provide you with the opportunity to go on an adventure through the rainforest, get the opportunity to surf on the beach and see some scenic colonial structures. There is also an opportunity to experience polo at the Chukka Cove Equestrian Centre, Oco Rios location. You will find that close to this location is the Bush Doctor Tour which provides some exciting colonial medical experiences, as well. For guest who are on a tropical romantic vacation will want to try the Rainforest Ride and the Beach Ride a the Chukka Cove location. This will create some exciting and fun memories especially for first timers. Horseback riding is one of the fun things to do all throughout the year in Jamaica on your vacation and you will find that destination on Monetego Bay and Ocho Rios are fantastic spots to enjoy this activity. For those visitors would love the sport of cricket it is best time to visit Jamaica during the months December to May outside what is considered the rainy season. The sport of soccer is usually played throughout the year but the country’s premier soccer competition is between the months of September to April with a short winter break in last December. In the area of athletic the period February to June is the peak period. Additionally, the country’s high school championship athletic is of world-class quality so visitors can get a glimpse of upcoming talented athletes. In the area of motor sports championship racing is usually held on most of the country’s bank holiday weekends so visitors can just choose the time most ideal for them to visit. Other some like golf, tennis, horse racing and basketball are usually held all throughout the year. The best time to visit the island is anytime, but if you are looking for affordable Jamaica vacation packages you should choose the off season where you will get excellent all inclusive options. However, this season is part of the hurricane season so one must pay close attention to the weather information and consider booking as close to the vacation date as possible. Conversely, through some resorts may cut their staff so the quality entertainment that is usually in the peak tourist season will be a little less. However, the island of Jamaica is one of the happiest places on earth another to latest research. The country welcomes everyone to come and sample some of its rich culture. If you really carve some really fun in a tropical island the country is one of the best answers around. You will find loving people, rich culture, great entertainment, exciting sporting activities and some excellent resorts make your vacation memorable. 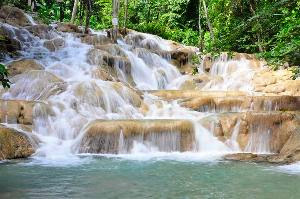 There is really no best time to visit Jamaica throughout the year because its a place of never ending fun.